Class 7 continued their fine choir work by carrying on with their singing session with Louie on Tuesday morning. We used this opportunity to select our favourite songs from the session earlier in the morning. We use these individual class singing sessions to help all pupils feel comfortable with their singing and signing. 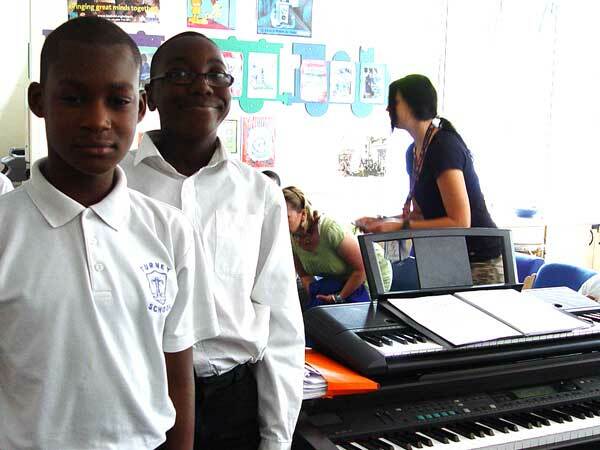 We are able to give special help to any pupils who want to express themselves through the music. The uplifting Ring, Ring has become something of a Class 7 singing favourite. You can listen to a short burst of the brilliant singing in the podcast below.